A die cut is the process where designs are cut out of sheets of paper or card using a sharp steel blade formed in to a specific design. The shapes for die cutting are limitless; squares, circles, curves, holes, stair-stepped, rounder corners, even sharp points. At Luxury Printing we offer professional and elegant die cutting services over a wide range of boutique and custom products. Die cutting provides an extremely crisp, smooth edge cut that can include intricately fine details giving your artwork a distinctive look not able to be achieved with standard scissor and guillotine cutting. Are you creating a unique project, a family crest or scrollwork, perhaps something more striking such as a lion head, or eagle wings? Luxury Printing offers professional die cutting services over a wide collection of boutique and custom printing products. 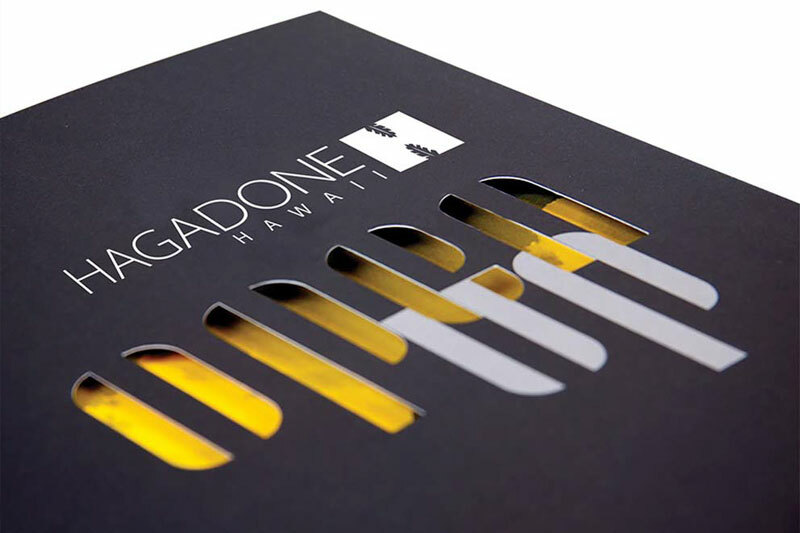 Our state-of-the-art facilities are here to fit your needs whether you require a business card with rounded corners or a card in a specific geometric shape or even a more elaborate ornament to be stitched on to a larger piece – Luxury Printing can handle any project, no matter how ambitious.